I’m almost finished recording SWISH TWO, a new library of natural dopplers, whooshes and useful organic and unprocessed elements for movement sound design. So far I’ve been recording (interior and exterior) with a collection of umbrellas, aerofoils, flags, fishing rods, tea towels, feather dusters, aerials, branches, rubber sheeting, Japanese fans, leather jacket, golf clubs and slingshot projectiles. But here’s the thing: I want to record what I haven’t thought of! 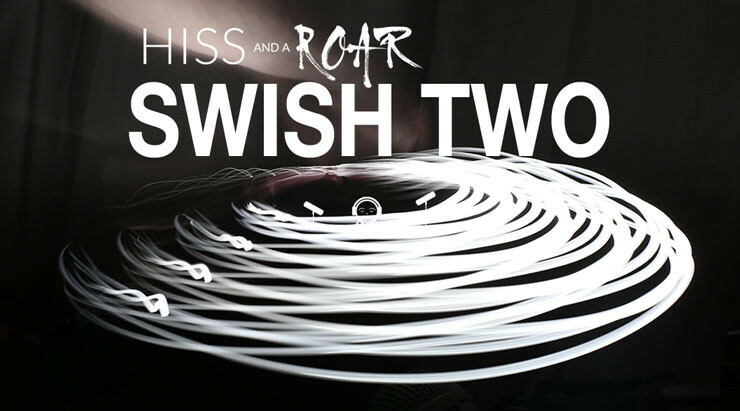 So if you’d like a free copy of SWISH TWO, email me any ideas or suggestions that you might have for it and if it isn’t already on our list & makes it into the library I’ll reward you with a free copy of the entire library! Especially if you own & use our original SWISH library released four years ago, think about what you’d like that wasn’t covered in that library. I sent this request out to the HISSandaROAR mail list (along with a reminder that the big discount on MECHANISM expires at the end of Friday this week!). The mailer is time warped to hit your inbox at 8am and by 9.07am I had the first suggestion and its a winner, so the first freebie has already been awarded. But there is no limit on the number I will give away as I want this library to be as diverse as possible – if I add 100 more great ideas to this library it would be fantastic! So rack your brains now & in the following weeks: let your subconscious win you a free HISSandaROAR library! Thank you so much for all the creative input from you all! And a bit of trivia: the second most viewed thread in all of the Gearslutz Post Production Forum is this one with 142,111 views since November 2003!